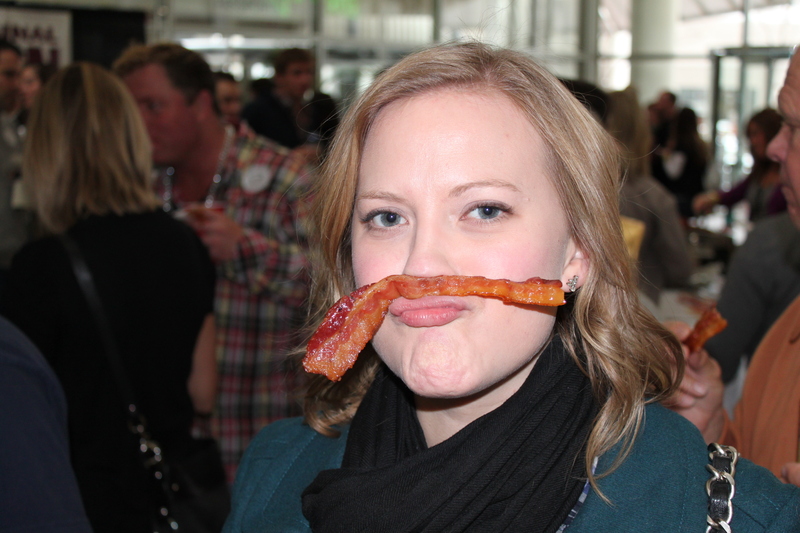 This year the Handsome Husband and I got tickets to the Blue Ribbon Bacon Festival. The festival is in its fourth year and tickets to the event sold out in less than 30 minutes!! We had never been before and didn’t know quite what to expect. Here are a couple pics from the day…. 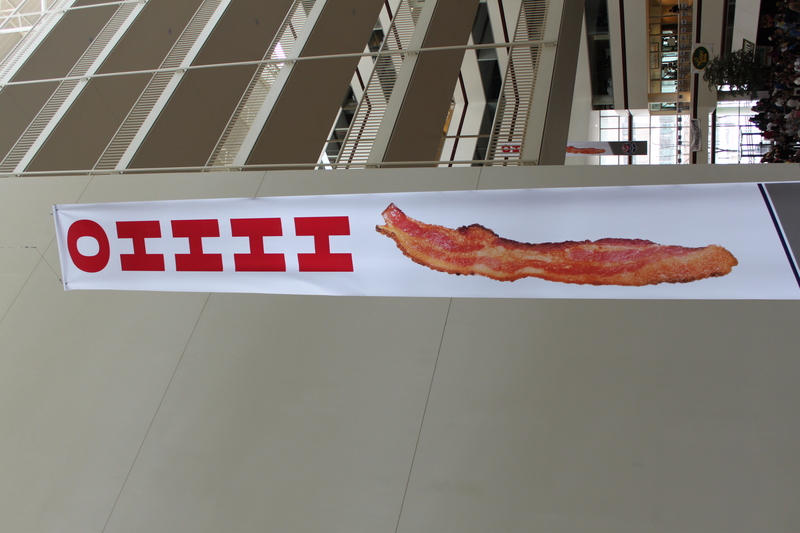 The rally cry of the day is “ooooooHHHHH BACON!”. 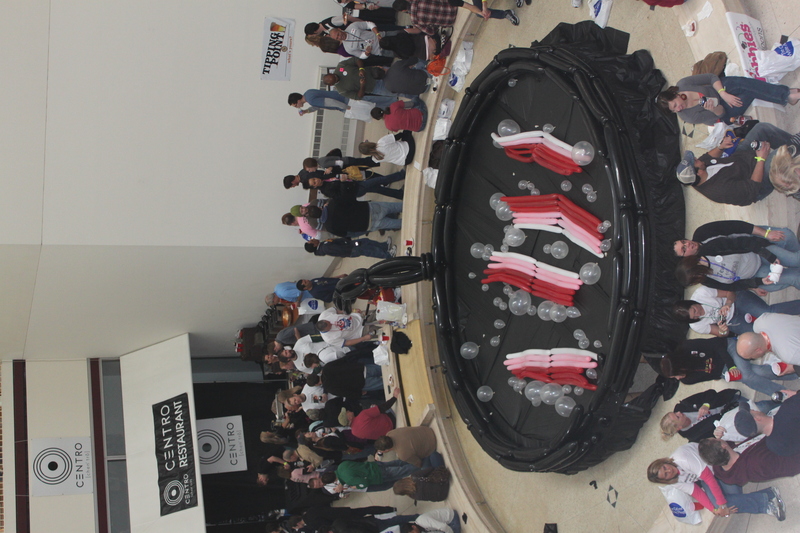 It was sort of like the group “PROST” at Oktoberfest except without the lederhosen. Or the shared heritage. And it was greasier. The Bacon Explosion is ground Italian Sausage wrapped in a lattice-work of bacon. It’s like the granddaddy of things-wrapped-in-bacon. We ate the classic maple donuts with bacon sprinkled on top, bacon wrapped breadsticks, pork belly tacos, bacon sandwiches, and the best thing of the day: buffalo style bacon with deep fried ranch dressing. Yes: deep friend ranch dressing. God I love the Midwest. 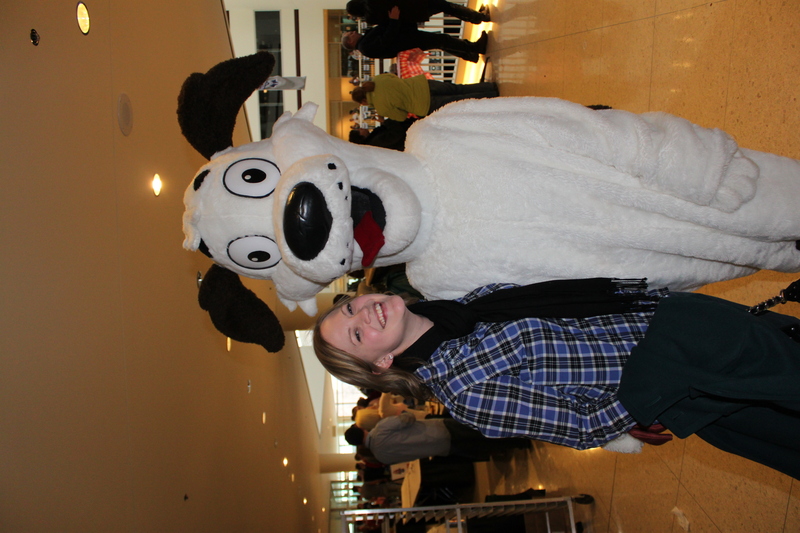 The one weird twist was that the festival was sponsored in part by Beggin’ Strips. As in the faux meat bacon scented dog treats. Beggin' Strips are NOT bacon. Critical distinction. 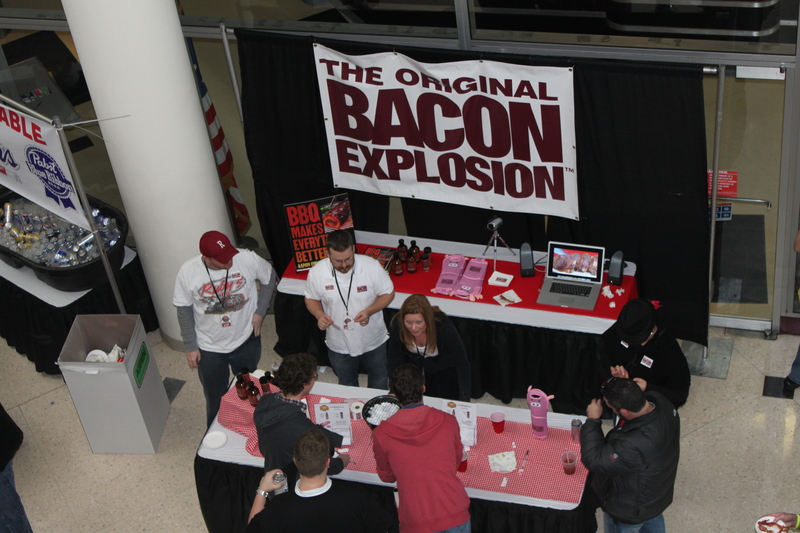 There was something really unsettling about seeing bags of the dog treats on tables everywhere as people were eating strips of real bacon. I’m not sure bacon scented canine snacks should play a role in any food festival. But the highlight of the day was when two parents and their baby, dressed as bacon, were on stage singing a song they wrote for the festival. The dad was bouncing the little bacon strip around and Handsome Husband exclaims “Is that a real baby?!? !” Deep fried ranch dressing was no biggie, but the little baby was just TOO much for him to handle. So all in all, it was an indulgent pork adventure…..